Edward Rose & Sons is a family-owned and operated real estate development and management company. Their unique philosophy of ownership and management helps them focus on long term investments in communities, as well as the families living in them. Edward Rose came to TM with an extremely outdated website that was mostly informational. The website had a variety of usability challenges that made it difficult to display the right information at the right time and it was not responsive or mobile-friendly. It was time to embrace current website technologies and design a website that was modern and easy-to-use. TM first conducted a full SEO audit for Edward Rose and then focused on a complete website rebuild. 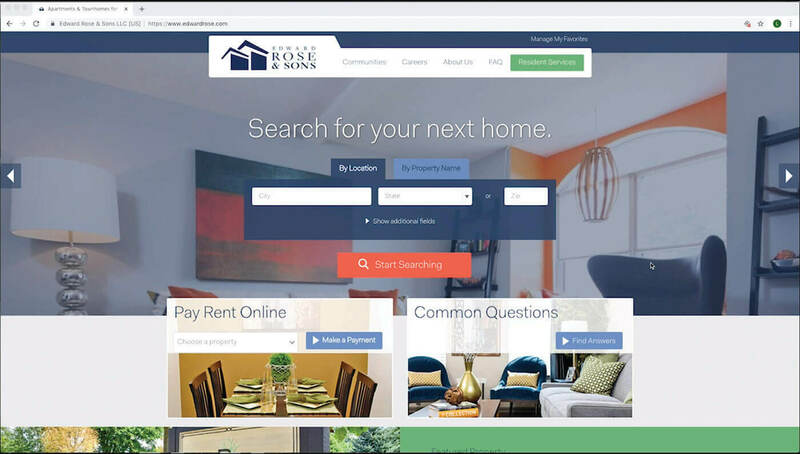 Our talented design team went about creating a very visual, image-based user experience that was easy to navigate and contemporary. TM built the new Edward Rose website on Drupal, with several custom software integrations with third-party management services, including Yardi. TM constructed a completely custom administration area for all of Edward Rose's properties, property managers, residents, maintenance, events and career listings. A separate portal for residents & Edward Rose management was also created. 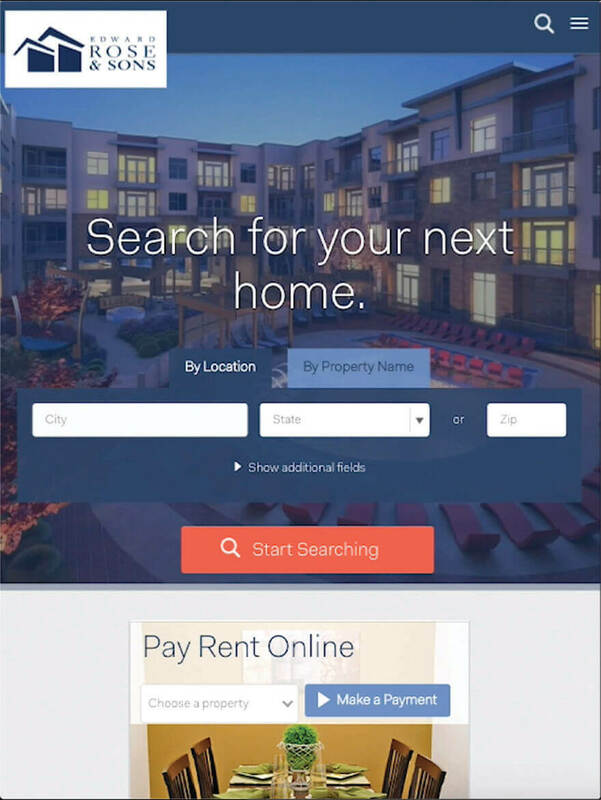 This allows prospective renters to apply for a rental form directly on the website and current residents the ability to submit event requests, maintenance help and access their leases. Administration can easily manage a property's floor plans, photos, leasing agreement details, updated background maps on each property and set geo-coordinates for each location. Multi-level user permissions are allowed on the backend to facilitate proper access across 60,000 apartment units, 160+ locations, four divisions, and corporate. Post-launch, TM continues to provide monthly maintenance and technical SEO for Edward Rose. We have consistently increased organic rankings and indexation of the new site. From the customized search form to a backend resident portal, nothing about this build was generic. To make it easier for potential residents to see the exact geographic location of each community, we created search capabilities through Google Maps API. Each resident can login to their respective accounts, pay rent and request maintenance. All totally custom web development.